For perhaps the first time in his career, Jia has made a film that almost directly follows the mode and concerns of a previous film, or rather several: Ash Is Purest White follows the same tripartite structure spanning a length of time as Mountains May Depart, featuring significant scenes in 2002, 2006, and 2018 (Mountains went even further, moving from 1999 to 2014 to 2025), foregrounding even more than his past films the sweeping change that China’s new economic policies and their effects on society have wrought. Furthermore, his choice of year is key, with the first two epochs corresponding to the present-times depicted in Unknown Pleasures and Still Life, respectively. Though both films were shot on digital video at the time, only the 2002 portion was shot in that way (with a progression of higher-and-higher-definition cameras), while the 2006 portion was shot on 35mm, a first for Jia since Platform (2000); it is possible that this was influenced by his first-time collaboration with the great French cinematographer and celluloid adherent Eric Gautier, filling in for Jia’s unavailable stalwart director of photography Yu Lik-wai. In keeping with the turn towards genre, Ash Is Purest White‘s plot is generally more straightforward and discernible than Jia’s other films. It follows Qiao (Zhao Tao, who also played a character of the same name in Unknown Pleasures) and her high-level gangster boyfriend Bin (Liao Fan), whose tenuous relationship but solidified connection spans the length of the film, as they navigate and move in and out of the world of the jianghu, which roughly translates to the criminal underworld that has typified so much of Chinese-language cinema (the film’s original title translates to “Children of Jianghu”). The 2002 section is marked by perhaps the most effusive displays of emotion; handheld camerawork dominates roughly the first half of this section, and a disco scene set, improbably, to multiple renditions of “YMCA” and Sally Yeh’s theme from “The Killer” only heighten the liveliness, brought to a grinding halt by the assassination of Bin’s mentor and superior. Setting the stage for the rest of the film, Jia lays out the precise power and relational structures of the jianghu in the city of Datong, presenting them seemingly without any embellishment or condescension, but rather as a mini-society both tied to and apart from the larger world — there is a significant interlude with Qiao’s father, a mineworker who spends his nights drunkenly accusing the mine owner of corruption via loudspeaker, and some police enforcers are friendly with the criminal underworld. All of this comes to a crashing halt during an expertly choreographed brawl in the streets, where Qiao fires an illegal gun into the air to save Bin’s life. After a four-year stint in prison, Qiao is freed to find that Bin has not kept the candle burning for her, and travels to the area of the Three Gorges Dam in order to find him. Here, any sense of true narrative throughline purposefully breaks down, and in the manner of Still Life emphasizes just as much the surrounding area, which has been only further erased since when Jia filmed that earlier film thirteen years before. Qiao spends much of her time alternating between searching for Bin and conning foolish men, culminating in a breathtaking single-shot conversation in a hotel room between the two former lovers, that encompasses the weight of a relationship, all that must be spoken and left unspoken. After a brief, beautiful interlude that suggests the possibilities of both a new romance and extraterrestrial life, the film moves ahead to 2018, where Bin, wheelchair-bound since an alcohol-induced stroke, returns to Datong and Qiao, who now leads his former jianghu. Throughout all of this, the nature of Qiao and Bin’s love is constantly shifting between romance and the bindings of honor; the viewer gets the sense that their connection is predestined, a constant amid the immense change that takes place around them. Even recurring characters, both within the film and in Jia’s reuse of certain actors, suggest stasis alongside this upheaval. 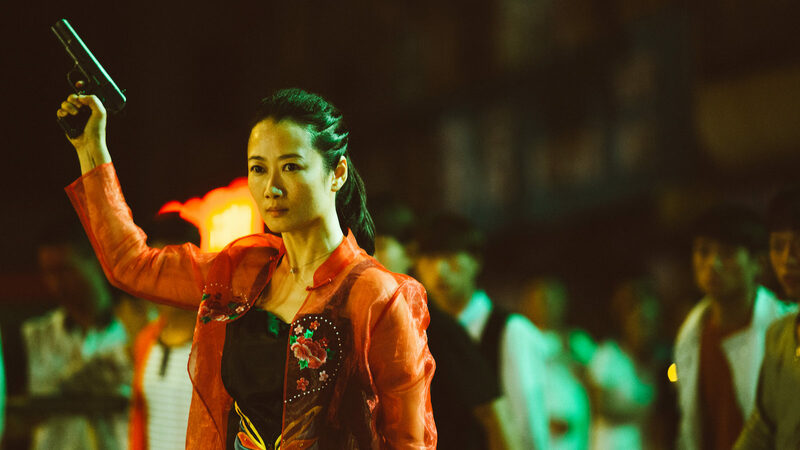 Many have discussed the atypically backward-looking nature of Ash Is Purest White for Jia, whose films have frequently been perceived as almost relentlessly present and concerned with taking the pulse of the particular moment in China. Leaving aside Mountains May Depart, this is of course not strictly true: his masterpiece Platform takes place in the 1980s, and many of his films, particularly his documentaries and quasi-documentary 24 City (2008) are concerned with national and personal memories; that he has chosen to externalize them at this period in his career, where his films have by and large won the support of the government, perhaps speaks to his even more developed sense of melding genre with time and place, emotions with their sociopolitical underpinnings. Zhao Tao has perhaps never been more electrically dynamic, imbuing Qiao at every juncture with such an alert and canny sense of being, and Jia’s sense for always surprising the viewer — whether it be with an unexpected subplot, a particular composition that suddenly snaps into place with a character leaning into the frame, or a group watch of a Chow Yun-fat vehicle — has perhaps never been more assured. To say this of perhaps the most important filmmaker alive is no small thing. And yet, Transit might be even more potent and daring, though its radical reconfiguration of the past is of an entirely different kind than Jia’s. Based on the classic novel by Anna Seghers, it follows Georg — played by Franz Rogowski in one of the finest male lead performances in quite sometime, whose vulnerable yet poised face could reasonably be called classically cinematic — a refugee fleeing Paris from the encroaching German forces. Upon his arrival in the port city of Marseille, he assumes the identity of Weidel, a writer who has committed suicide and possessed the capacity to obtain transit visas, and comes into contact with a young boy, Driss, who was the son of his friend who died during the journey, and Marie (Paula Beer, who bears more than a passing resemblance to Nina Hoss), Weidel’s former wife. What distinguishes Transit apart from many films of its ilk is Petzold’s immensely bold choice to shoot the film with little attempt to disguise the modern setting in which he is shooting; his choice to shoot for the first time on digital only furthers this choice. Some elements are more blatant than others — the modern cars, the choice to use GIGN riot uniforms for the police, a few uses of televisions in various embassies — and certain elements of modern life are almost eliminated — an iPhone is only glimpsed once from a distance — but what is so striking is how frequently the illusion is sustained. Because the buildings of Marseille have been largely unchanged since 1940 — inviting comparisons to Jean-Marie Straub & Danièle Huillet’s History Lessons — and the manner in which Petzold shoots (with cinematography by Hans Fromm, Petzold’s frequent director of photography) is so classical despite the digital 2.39:1, the “present” such as it is is only brought to the fore in little ruptures, constantly poking holes in the viewer’s perception, no more so than in a certain reference to a particular film about the undead — which in less assured hands might be a too-cute reference to the stasis in which so many characters, and most of all Georg, live in under the shadow of occupation. Of course, the nature of this gambit is to highlight the continuing nature of fascist policing and oppression in the present, but almost as important to the film, and a further complicating factor, is Petzold’s incorporation of the novel’s voiceover, transplanting it from Georg to a pointedly minor character. Introduced around a fourth into the film on the train from Paris to Marseille, it deliberately clashes with the viewer’s perception of what is actually going on, often heightening certain actions — a brush of the hands as a deep embrace between Georg and Marie — and speaking from a removed perspective frequently out of sync with the extremely present struggle of Georg. Coupled with the late Weidel’s occupation as a writer and Georg’s continual sense of playing a role — this film comes close to Phoenix in its evocations of Vertigo — Transit emerges more and more as a film implicitly about storytelling and self-presentation, where the ruptures remind the viewer more and more of the moment-to-moment thought processes and decisions that judge whether one lives or dies. This could all seem immensely academic if Petzold’s sense of the romantic and the visceral was not so developed. Thankfully, it is, capped by one of the most heartbreaking endings and brilliant, anachronistic music cues in recent memory. 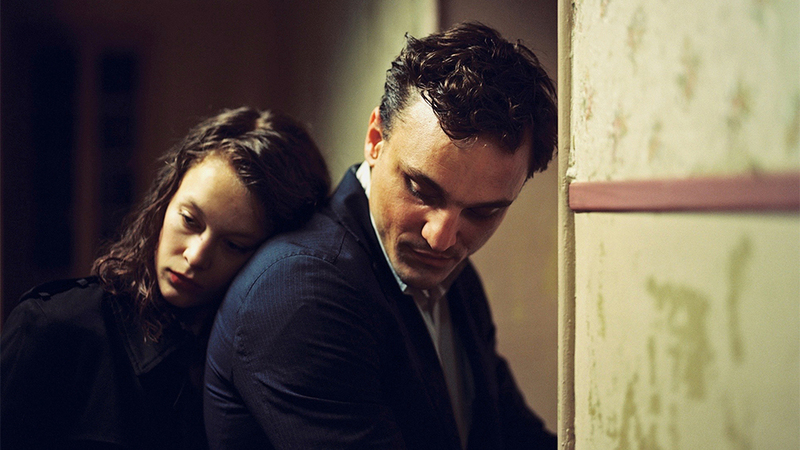 Both Jia and Petzold are almost aggressively brilliant and considered filmmakers, constantly innovating and rehauling their own styles and methods in order to reach an even more developed sense of their societies, their countries. But neither feel removed or cloistered; they find ever stranger ways to pierce the veil, to bring the viewer into deep communion with the subjects, times, and places they depict.